After almost a month of working all night, finally done with 2 of the last three MTO batches. This is with the combine Mommy and Daddy crocheting effort! Here's the 3rd to the last batch. Crochet light pink doll booties with flower, light pink doll booties with ribbon bow, red ladybug doll booties and strawberry cake flower gladiator sandals. I did the three doll booties above, while Daddy did the sandals. Here's another set from the 3rd to the batch. Crochet light pink doll booties with ribbon bow, red ladybug doll booties, strawberry cake cuffed boots, gray ugg boots, off-white doll booties with bow, gray crisscross open-toe booties, white doll booties with black strap, and fuchsia pink gladiator sandals. Daddy did the two boots, the gladiator sandals and the open-toe booties, and the rest are my creations. And if you think we are done with the third batch, no we are not. 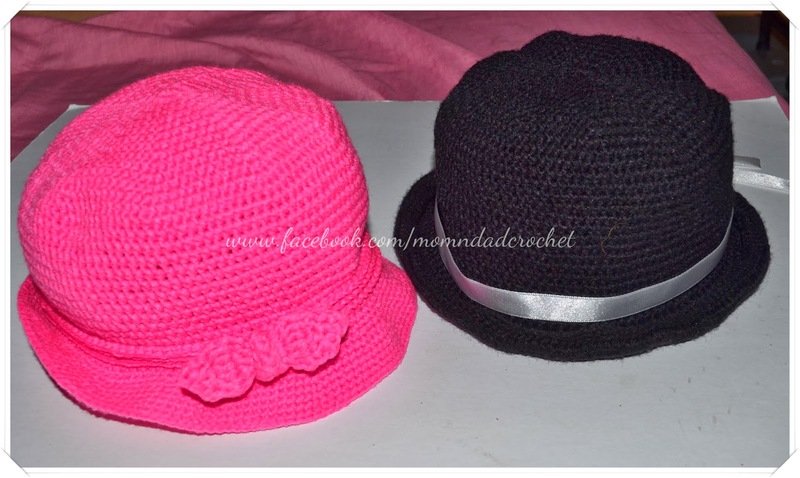 Here are the 2 hat sets. The two above are Daddy's, while the two hats below are mine. Honestly, I am not good with making hats. I find it difficult to estimate the head circumference size. Now, let me share the 2nd to the last 3 batches. 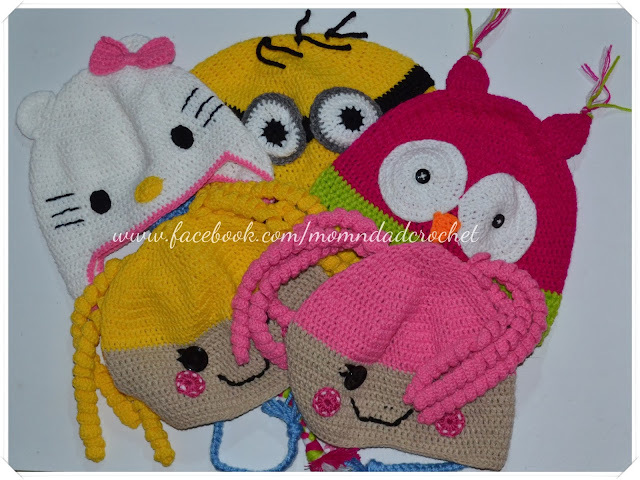 All crochet hats made by Daddy Allan. I can breathe now since we are down to the last batch that needs to be done before December 21. After that, we can relax after a year of crocheting. We'll accept orders most probably by the second week of January next year. Sounds like a too long vacation no? But actually, we will dedicate this crochet break to house arranging and painting, more family bonding, Christmas and New Years celebration (of course), and the new project that's long overdue. Those are adorable! 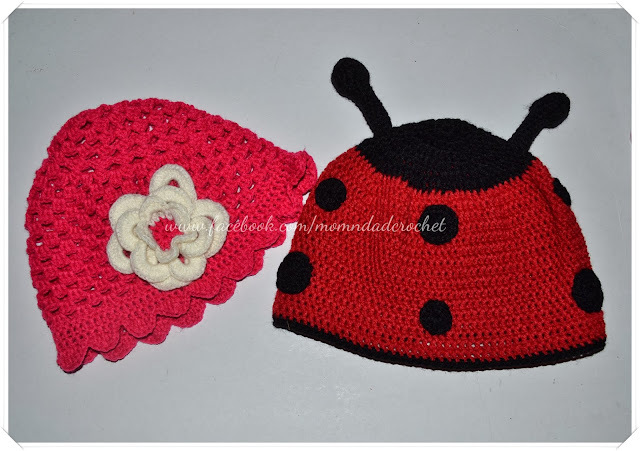 I'm pinning them to show my daughter who crochets. Wow. Your tandem works because you share responsibilities. You deserve that long Christmas break. My goodness, these are fantastic! I bet they'd go very fast and should fetch a good sum. Kudos for all the work. Thanks po. Anything for our son's future, we'll surely do. Goodluck sis on that one last thing to do list :) Usually the last things are the hardest to complete hahaha! Natapos na din namin un last batch, finally! Yehey! At last, makakapagpahinga na ng maaga. Sis, si Daddy A ang gumawa nun e. Pag ganun wala un pattern, nasa utak nya. Hehe.. Sabi ko nga magsulat naman ng pattern. Mahirap kasi talaga magsulat ng pattern pag booties. But I'll ask him to write para mapost namin dito. I would like to learn how to crochet those booties. Ang cucute!